Previously, I touched on the idea of the network-attached-storage becoming a DVR (digital video recorder) or PVR (personal video recorder) device courtesy of various apps being offered to some of these platforms. This is in contrast to set-top PVR devices of the TiVo or Foxtel IQ ilk which are based around their own tuners and hard-disk space. Now SIliconDust, who make the HDHomeRun broadcast-LAN devices are developing a NAS-based DVR platform based around these devices. They got this idea up off the ground thanks to a highly-publicised Kickstarter crowdfund effort to get the idea up and off the ground. 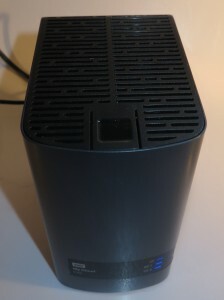 What the goal is for the HDHomeRun effort is to create a flexible network-centric DVR setup which supports a regular computer or a NAS as the recording device. One of the key advantages is that you can add extra HDHomeRun broadcast-LAN boxes to record an increasing number of shows concurrently. This will earn its keep during the ratings season where the networks run all the good shows at once. The system will be dependent on a computer, smartphone, tablet, TV or set-top box having a control app to book shows for recording and to play shows that you have recorded, along with a recording app integrated in the server computer or NAS that is doing all of the recording. All the client devices see multiple NAS units with this software as one source rather than as separate sources. It even has the ability to reserve one tuner to handle the common situation where one channel is running good shows one after another during the evening, while properly accommodating padding-out of recordings to deal with channels who overrun their shows to insert more commercials. Personally, I would like to see this support the functionality associated with VIDIPATH such as having RVU user interfaces along with DLNA playback support, which could also earn its keep with smart TVs. But I see this as a way to bring forward the idea of the ultra-flexible DVR system for the home network.